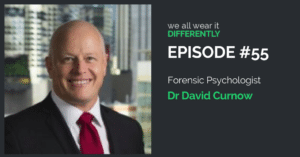 This episode is the second of a series of five chapters with early career psychologists. They're either completing their training, or are in their early years of working, and come from all different backgrounds with vastly different life experiences. In this episode i'm chatting to Kieran Martin, 40 year old father of 5 and 27 year old Tanya Muller who lives on a sheep station in rural NSW. This episode is the first of a series of five chapters with early career psychologists. They're either completing their training, or are in their early years of working, and come from all different backgrounds with vastly different life experiences. In this episode I'm chatting to Jim Smith. Jim is 54 years old, lives in Canberra, and is in his first year of the Clinical Master’s Program at the University of Canberra.